Why Does Granite Require Special Cleaning? Although granite is a very hard, durable natural stone and is less porous than other natural stones, such as marble, it still needs a little special attention when it comes to cleaning. If granite is not cleaned properly, it can become damaged and discolored or its finish can become dulled. The typical cleaning products you have in your home to clean other surfaces are too harsh to use on granite, but don’t worry! 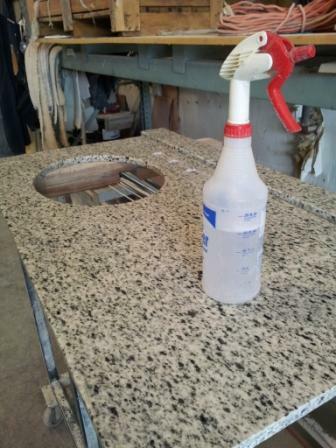 It’s not too hard and is not going to break the bank to maintain the beauty of your granite. 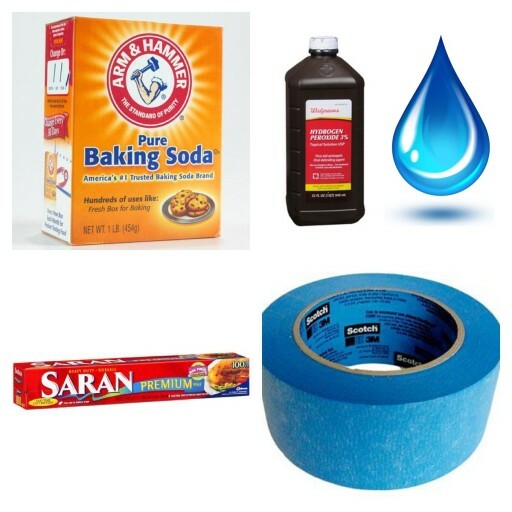 You likely have all the products you need to clean your granite in your home right now. So, let’s explore how to clean your granite countertops! First, make sure your granite is sealed. 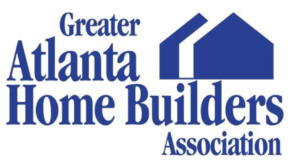 Depending on the type of granite you have, it may need to be sealed as often as every three months or it may need to be sealed only once per year. Typically, darker natural stones are denser than lighter ones. So, a general rule of thumb is, the lighter the natural stone, the more frequently you should seal it. There are also fifteen year granite sealing products. There are both advantages and disadvantages to these products, but ultimately, the long term success of these products is yet to be determined because they have not been on the market for fifteen years! The best way to maintain the original beauty of your granite is to clean it often. If you keep up with cleaning your granite, you will avoid any permanent damages or stains that will require more involved or costly measures. First, dust the surface of your granite to remove any dry buildup, residue, dust, hair, etc. Next, mix a mild dish soap with water. All you need is a few drops of mild dish soap diluted in water. Make things easy by using distilled water (to prevent mold) and store the mixture in a spray bottle for future use! Be sure to label it “Granite Cleaner” so you remember what it is! Do not apply the solution directly to your granite! Instead, apply the mixture to a cotton or microfiber cloth or a soft sponge. Do not use an abrasive scrubber! Also be sure to wring out your cloth or sponge. Granite is an absorbent natural stone and can become damaged or discolored by standing water. Wipe down the granite surface with the cloth or sponge. The next step is very important! Dry off the granite surface with a dry cloth. If you granite surface has a stain, there are some more detailed cleaning measures you can take to remove the mark. First, identify the source of the stain. Is the stain water or oil based? In either case, start with baking soda. If the stain is water based, mix the baking soda with a small amount of hydrogen peroxide. If the stain is oil based, mix the baking soda with a small amount of water. Be sure you are using a very small amount of liquid when creating these pastes! These fixatives should be very thick in texture but still spreadable. Generously apply the paste over the stain. Next, cover the area with plastic wrap and tape down the edges with a gentle tape, like blue painters tape, to seal the area. Leave the application for at least twenty-four hours, or, if possible, for a couple of days. After the time has passed, thoroughly rinse and wipe down the granite surface using the cleaning method in Step 2 (above), disregarding the dusting step of course! 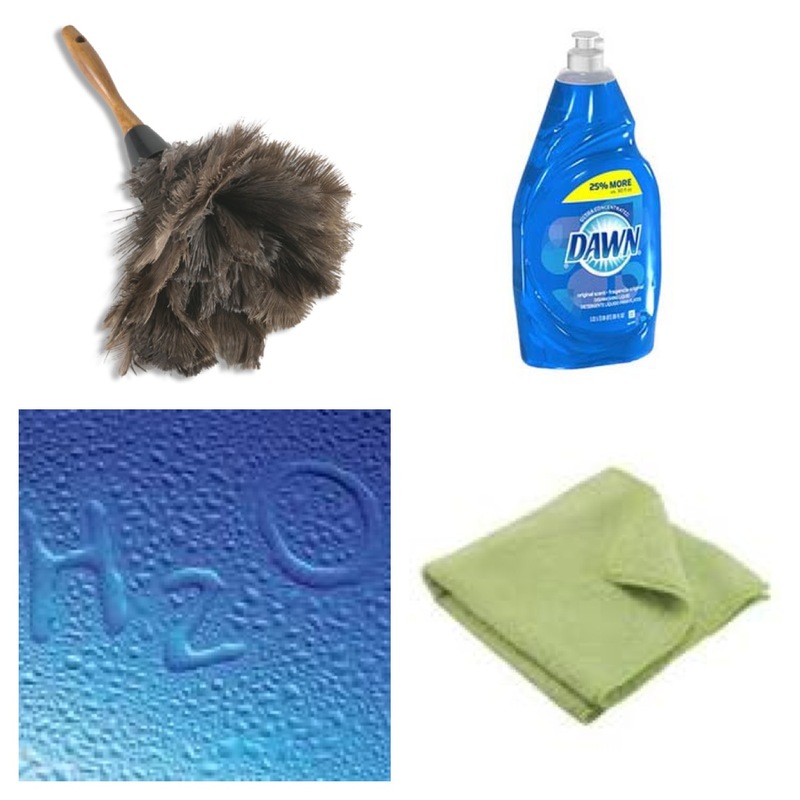 To clean or remove stains from your granite surface, all you need are five simple household items!